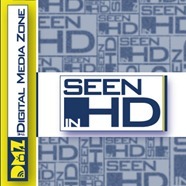 It’s the end of the year for Seen in HD as the Digital Media Zone will host an all-encompassing show next week to celebrate the 365 (or so) days prior. For this final show of 2012, we dive into the realm of Redbox Instant, which should begin beta before the year is out, and what type of content acquisition they’re aiming for. Kalidescape has turned their once physical-based service into a combo of physical and digital thanks to support from Warner. The specialized hardware is discussed, followed by some non-meaningful statistics from the Ultraviolet camp regarding their subscribers. With gaming season effectively over, that leaves only a Blu-ray review as we dig into alien busting in Men in Black 3.